Just looking at the database map (herpmapper.org) and noticed a few things about the distribution of data. 1. North and Central America are pretty well represented. Canada isn't well represented, but it isn't really a "herper's paradise". 2. South America is represented a little. Brazil seems to be wide open however! Southern S. American isn't really a herpers paradise either, but still, they have herps. 3. Africa - we have herps from where herpers go and a few other areas. Namibia, S. Africa, Botswana and other areas of southern Africa have some records. Morocco and a few areas of west/cental Africa have some records. East Central Africa (Tanzania) has some representation. Madagascar as well. 4. Asia - India and China have quite a few records as does Sri Lanka. South East Asia is well represented. Clearly there are areas where English speaking herpers don't travel much for a variety of reason and so we wouldn't expect much from there. We do have 47K records, but almost 94% of those are from the US, and the US and Mexico account for over 95% of the records. 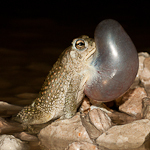 Israel - I have seen a number of herping posts from Israel over the years on the FHF. Where is that data? Oman - where's Moloch's data for his great Omani trips? the UK - !!! Why do we not have any records at all for this area? I know we have herpers there! Not complaining, we just have plenty of room for expansion and improvement!